For all of our readers whom have been huge fans of the NoLabelRoyalty movement there may be a few changes coming to the ever so popular non-profit brand. PR and consultant for NoLabelRoyalty Gerald Shaun sat with us to directly explain whats going on and what the brands followers can look forward to. P.F.I: New times calls for new changes. P.F.I: Seems like NoLabelRoyalty has been very busy with a few projects but still keeping things low-key. What has been going on with the organization? Gerald: We have a lot of things going on but our major endeavor is the changing of NoLabelRoyalty from a non-profit to a LLC business structure. Gerald: The organization has been a non-profit from its conception at LockHaven University and has been doing events and forums on a collegiate level , going from campus to campus promoting and helping other organizations grow. A lot of values that the board has learned from forming and running a non-profit has made us a well oiled machine. Sad to say times are changing and we have other avenues that we would like to explore, and a non-profit structure wont allow us to open up those outlets. P.F.I: What are some outlets NoLabelRoyalty is aiming to establish? Gerauld: Relaunching our organization into a modeling agency. We would like to create auxiliary sectors for the agency as well. These sectors will not only deal with managing and developing models but the branding and networking of make up artists, photographers and stylist. Hence the LLC structure . We would like to hone in on the overall “fashion experience”. P.F.I: Is this the reason for the Relaunch Party coming May 10th? To highlight your new ventures? Gerald: Yes. The Relaunch party will be a mirroring showcase of where we have been and where we are going. The event will commemorate everyone we have worked with and introduce people we will work with from designers to photographers from Virginia, D.C., New York, as well as our local contacts in Philly. They will be showcasing their fashion lines , products and services, with a brief narrative of their endeavors. P.F.I: You mentioned that the experience with a non-profit structure has brought many valuable lessons, how will NoLAbelRoyalty apply the same integrity and discipline to the new business model? Gerald: We will still have our community service drives and forums from which the organization was founded on. I think keeping those activities in tact will keep our day one audience loyal; they have held us to specific standards and we do not want to ruin that. P.F.I: Any special promotion leading up to the Relaunch? Gerauld: We will be doing photo shoots with clients and associates. Listed first on our roster such as make up artist Jenai, celebrity make up artist Jacen Bowmen, Model Michele, and fashion photographer King Robbie. P.F.I: Can you give a brief insight of what your planning after the event? Gerald: Community wise, we are partaking in the Susan G Koleman Walk the day after our Relaunch event. The following week we are doing events with a couple different high schools, such as Norristown High for their annual fashion show. We will be lending a hand with model coordination. We are also helping to coordinate Constitution High’s fashion show the first week of June. After that we will be launching our first official event as an established LLC. Be sure to follow Gerald on instagram @theemogullife and NoLAbel Royalty @NoLabelRoyaltyInc for more updates about this event and others. 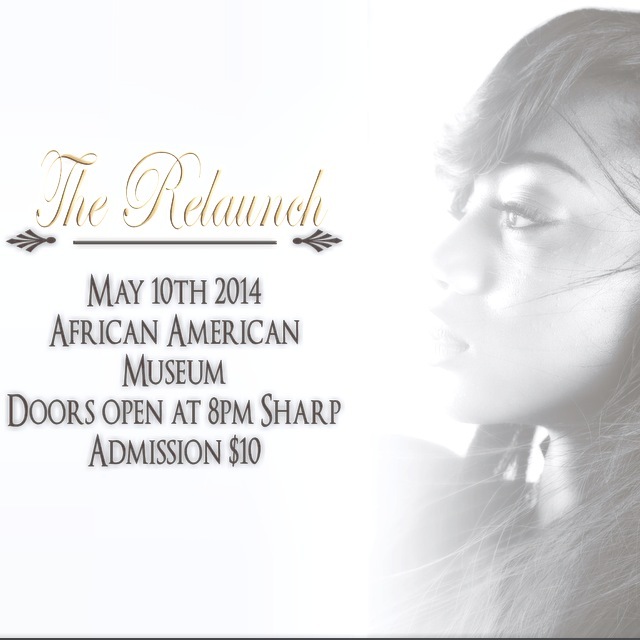 For all of our hashtag fanatics use #therelaunch for additional info! In case you have missed it…each and every Friday we are going into our archives and display the most memorable interviews and spreads that we’ve done since being established. 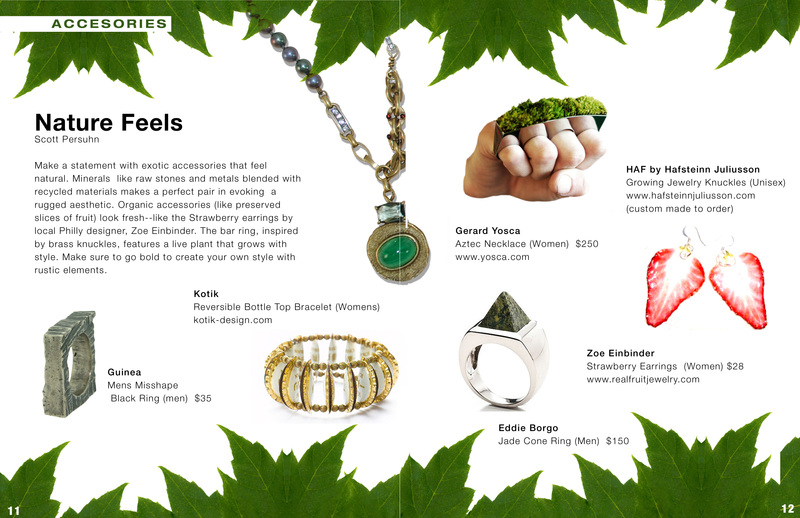 Last Friday we posted an accessory spread from our Vintage issue, which was entitled “Nature Feels”, this spread included all organic jewelry (some done by local philly artist) which are great compliments to any style no matter if your wardrobe says “cool” or “couture” . Usually we provide the link to our new main website but what the hell…we wont bother you all with that extra click. So, please enjoy! Download P.F.I Magazines First Issue for Just $2.75!!!! The oxford cloth and its similarly styled chambray has become the focal point of men’s fashion over countless seasons in recent memory, having made the jump to footwear on several occasions. 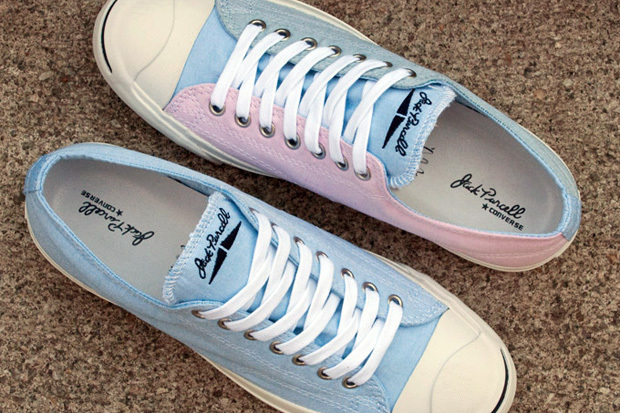 Converse put this notion to work on two styles of the Jack Purcell. Seen in either a simple all blue upper as well as a multi-colored version, both styles offer a fresh update to the classic court style. Mr. Sherwin Raven and The Fashion Market and Developing Company presents the INcrowd, a fashion network event featuring the top fashion, stylist, make up artists, and bloggers in the City. 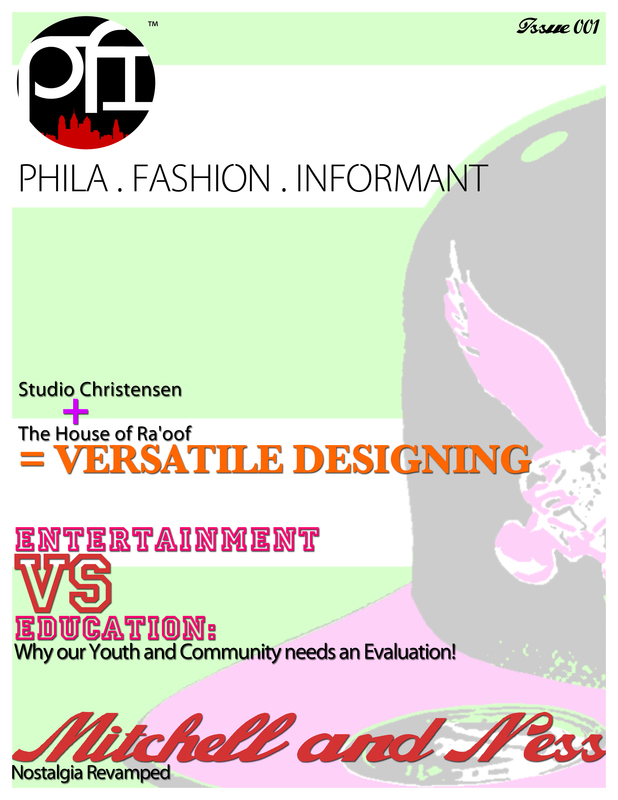 If you are planning to begin a career within Philadelphia’s runway scene then this is an event you must attend!! This past Friday was the grand opening of STATUS. Owner Jay Exclusive’s dream of a one stop shop where any consumer can get the latest publications, clothing, and music all under one roof. Fans and the next generation of Philadelphia entrepreneurs came out to help celebrate and view cool new apparel and accessories provided by the DNTN Brand, 10 Deep, Mijourne Jewelry Co. and Dope. Patrons also read the latest Issues of American Dreaming Magazine, F.E.D.S and Don Diva as they conversed about the latest styles and future trends in fashion and business. P.F.I Magazine was invited to a preview show at the Walnut Room for the anticipated Spring/Summer clothing line release from Ebony Suns and Beyu. It was a pleasure for us to be amongst up and coming designers of the City and network with some pretty descent entrepreneurs. Some people who attended was On The Street Magazine, a neo publication based out of Delaware, Photographer and Publisher Nina Hardy, Accessory Designer K. Louise ( K. Louise Designs) and Designer Mary Ashanti. Special thanks to Russell A. Hicks and Ebony Suns and Beyu Clothing! !